From late 1961 to 1965, Garriott worked as an assistant professor, then Associate Professor, in the Department of Electrical Engineering at Stanford University. During this time, his interest piqued, he became even more absorbed in unfolding events as the United States and the Soviet Union engaged in what had become known as "the Space Race.'' 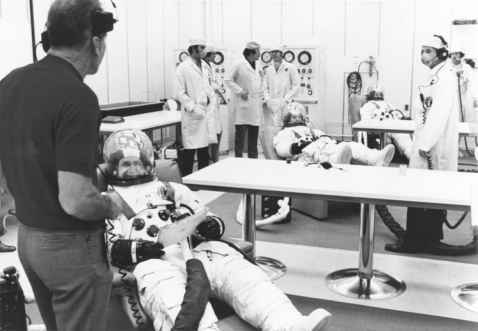 While the Mercury and early Gemini flights had proved that humans could live, work and function well in space, more physiological and scientific research was going to be needed at some point. He began hearing reports that NASA was considering the possible introduction of scientists and physicians into the flight programme. "One night over a casual dinner, a friend happened to ask if I'd heard that NASA was considering inviting people with research backgrounds to apply for the astronaut corps, as one of a new group to be called 'scientist-astronauts.' That's almost the first time I really ever thought about the possibility of actually participating personally in the flight programme. This was added to his list of academic and research qualifications, which was eventually submitted to NASA on a standard government employment form, ''along with those from a good many candidates.'' Then, as his application was considered, there came the first of many lengthy waits he would experience in his long association with NASA.